Undertaking renovations can be a costly business, one that makes people realize pretty quickly that the best way to ensure they get the most value for their investment is to stick to a budget, as well as determine what areas of their home can give them the most bang for their buck. Kitchens are always popular for renovations as they are heavily used and trafficked areas, although the costs of renovating a kitchen can quickly spiral into the stratosphere. If you’re looking for a renovation project that will make guests’ jaws drop, but will cause minimal stress to your wallet, consider taking on the main floor powder room. Why the powder room? Decorators and plumbers in Toronto will tell you that the powder room is a great spot to renovate because they are generally small spaces, meaning that you’ll need less material (tile, wallpaper, etc.) than you would in a larger room. This means you can pick more expensive finishes because you don’t have as many square feet to cover. 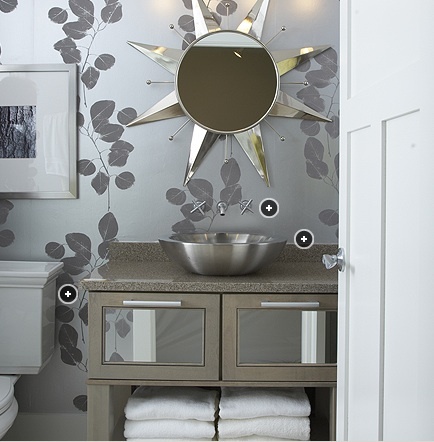 Similarly, you’ll likely need a smaller vanity for your powder room than you would for your master ensuite. Another great benefit to overhauling a powder room is that it’s a spot that most visitors to your home will see unlike, say, that master ensuite. 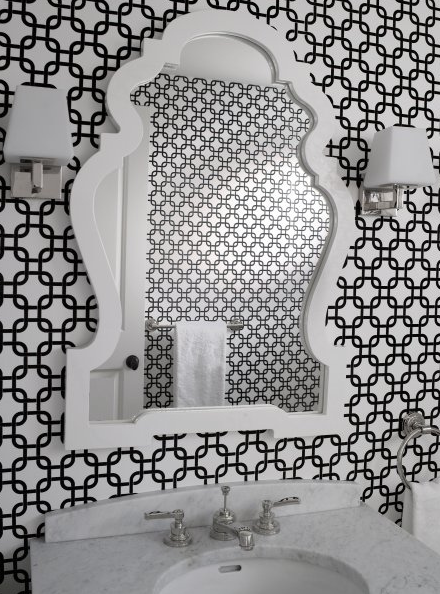 A few tips for making your powder room renovation really pop is to consider bold colours and patterns–easily achieved with wallpaper–as well as statement pieces like a striking vanity, fun sink, sleek faucet, or a bold mirror. Other options to consider are using an interesting tile or painting the ceiling an unexpected shade. Don’t forget light fixtures and don’t think that bathroom lights have to be sterile and functional. On the contrary, a pretty crystal chandelier or modern sconces on either side of your mirror will really complete the look, especially if you also opt for a few choice accessories and the right window coverings to tie the whole look together. As for toilets, you may want to consider an energy efficient dual flush option, as well as a skirted toilet, which not only looks great but makes cleaning much easier. 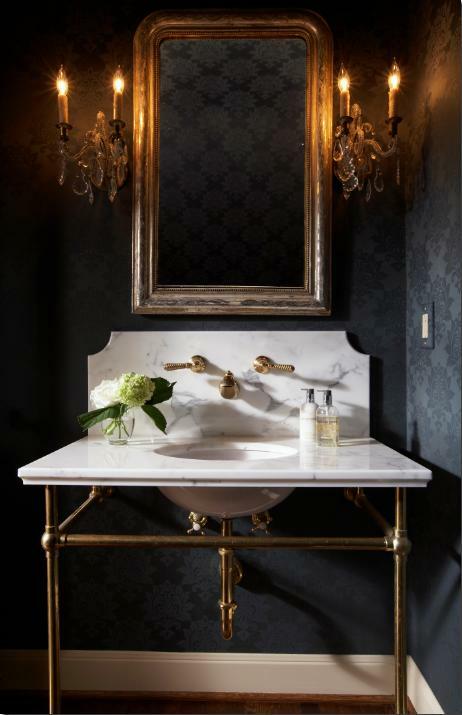 The best part about the powder room’s small footprint is that you can indulge in luxury materials and splurge buys that may not be possible in larger spaces. If you’re in the GTA and considering a powder room reno (even if it’s just installing a stylish new faucet or a water saving toilet) then you’ll want to seek out an experienced and reliable Toronto plumber. Flow Mechanical has the expertise for all your plumbing and mechanical needs, including both commercial and residential projects. Services include rough-ins, finishing, gas lines and emergency repairs in Toronto and the GTA.